Klik hier voor de Nederlandse versie van deze blogpost. 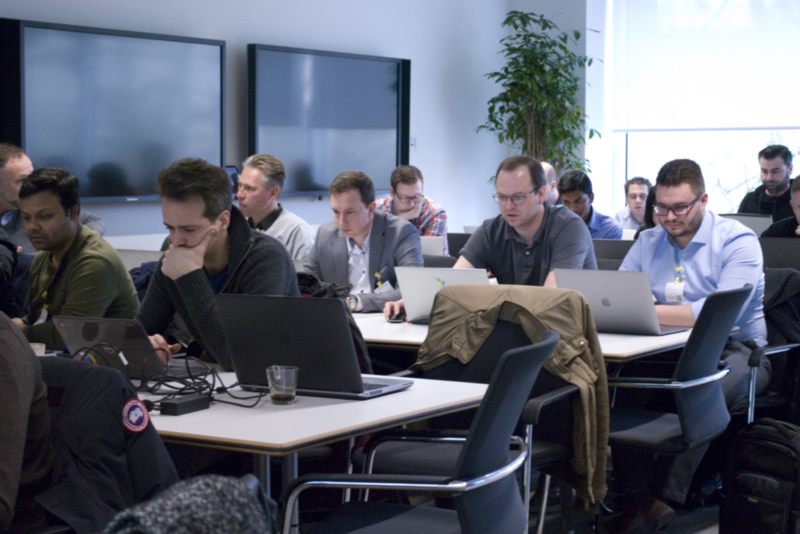 On March 20th, g-company organized a Google Cloud Platform Fundamentals training in the Brussels Google offices. Led by Koen, g-company’s own Google Cloud Expert, participants were fully immersed in cloud computing and all the advantages it has to offer. In an utterly Googley way, of course. Although the training itself was rather technical, participants didn’t all come from development backgrounds. There were data analysts present, for instance, who were particularly interested in the BigQuery content. Whereas non-IT participants were mostly fascinated by the general overview of what cloud computing entails. After a brief general introduction, theoretical information was given to guide participants through the platform, step by step. Hands-on exercises via Qwiklabs made it possible to immediately put the theory to practice. It wasn’t all work and no play, however, since plenty of breaks were given in between the blocks of theory. This allowed people to process the information over some food and drink. Or have animated discussions and exchange ideas. The more active participants even found the time for a quick ping pong match in the breakroom. There was something there for everyone. Are you feeling the itch to participate in one of these trainings after reading this blog? You can! g-company organizes these trainings on a frequent basis, both in Brussels and in Amsterdam. So be sure to check our online training calendar, as we are looking forward to welcoming you at one of our sessions.